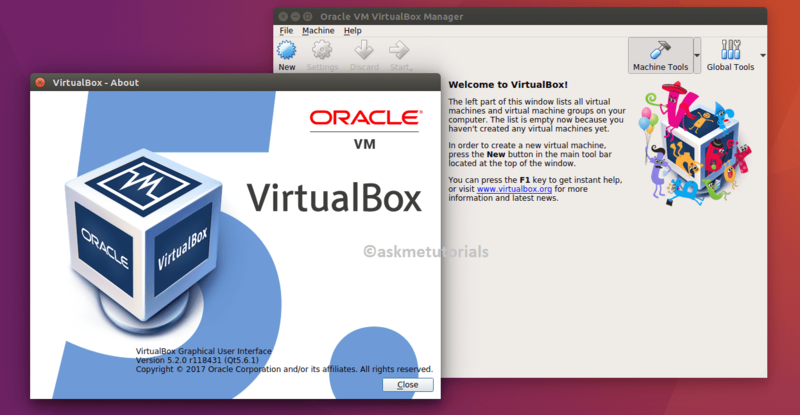 This tutorial shows how you can install Oracle Virtualbox 5.2 On Ubuntu 17.04 / 16.04 LTS / 12.04 LTS, Linux Mint and Fedora 26. This version of Virtualbox 5.2 is a major update and provides security updates and cumulative bug fixes. Virtualbox is an Open source application for running operating systems virtually in your base system, with this application you can create and run multiple Operating systems virtually on your PC. Note: LinuxMint and elementary OS users have to replace the name manually in place of $(lsb_release -cs). If you are not comfortable with the PPA for installing the Virtualbox, then manually download the deb file and install it.